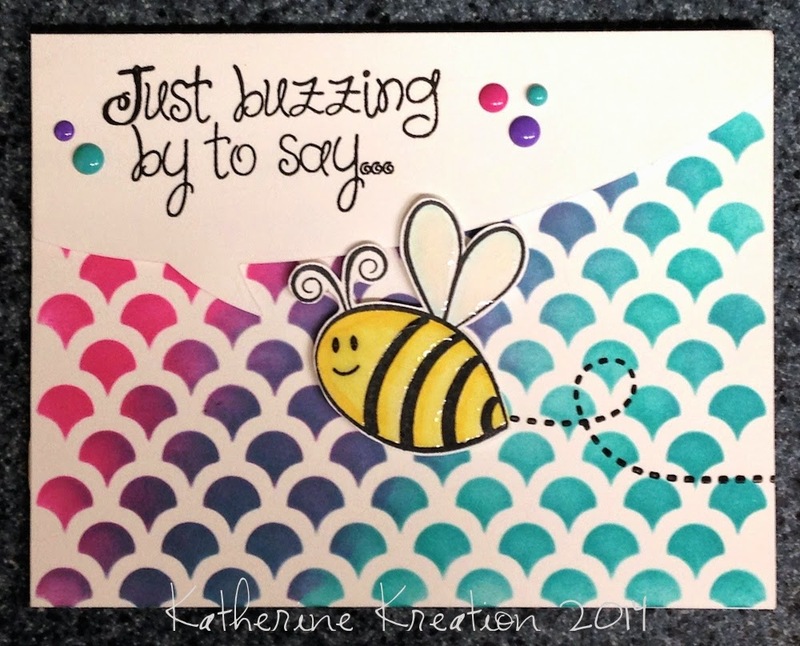 I love this sweet little bee from stamps of life. I used a similar design on both cards using a technique with distress inks that I learned in the Stenciled card class. Stencils really are soooo much fun. These cards were made for colleagues who are away on medical leave. Hope the cheery design adds some sunshine to their day!